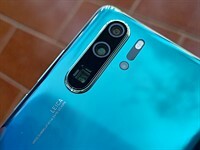 After 3 articles there is still no real information on build quality. I would like to know what the build quality of the DL18-50 is like compared to an RX100IV – is the body made from magnesium alloy, or does it have a toughened plastic shell like the Canon G7X? What about the control dials? Are they aluminium? If it's as rugged as an RX100 then I will probably buy one as an upgrade to my G7X. Cameras seems awsome. I never had a Nikon before, I wonder how the sooc colors looks like, as I hate post processing. Is there anything at all that someone won't describe as "awesome" these days? Usually combined with "iconic". I don' think anyone would describe you as "awesome." Curmudgeon comes to mind. If the zoom ring works as I hope it does, you will be able to preset a desired focal length before turning on the camera. If you have the 18-50, you could set the lens to open at any of your favourite focal lengths when you turn it on. If you're more of a 21mm shooter, set the ring there instead of 18. Want 35 for most purposes? Set the ring there. I hope this function is possible! "Having a step zoom is very handy for some situations (it's a real time-saver in the DPReview studio, for one thing)." Sony RX100 M1/2/3/4 also can be configured to have STEP zoom on the ring while having W/T smooth zooming under the shuter button. It seems that the RX100III/IV finally has a worthy competitor (or two). Nikon dropped 2 huge bombs into the market which has been dominated by its own veterans quite for a while (And which are too hard to swallow). -24-85mm is really a good cam for average power user. OK, there is no EVF but average user doesn't look for it. -Here we go. 18-50mm. 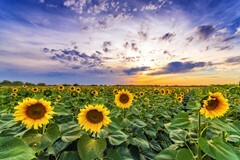 This is a FANTASTIC focal length which makes us think (and dream) for it. This may be my dream travel camera. BUT, checking out the top side, BOTH EVF & internal flash are cancelled and we are left with a view of beautiful (!) hinge (which doesn't exist in 24-85mm model).WHY? 2 seperate engineering teams designed and produced those cams? You may say "18-50mm is more Pro". If it is PRO, than where is the EVF?Pro uses EVF. "A Pro uses external flash". Than what about internal EVF required photos with flash? How you will take them comfortably by using an external EVF & external flash at the same time? IMHO, omitting those 2 key elements from an otherwise FANTASTIC cam is "going too far". "Pros use EVF". Really? Not in such small cameras. I have the Leica LX100, it has a VF, I rarely use it, despite the fact that I always use the VF on the dslrs. Different things, totally. Total crap. Most pros do not use EVF and prefer optical view finders. EVFs still have issues like Sony's ones have blackouts, delays, infrequent refresh issues that are disconcerting in certain use cases. Anyway your statement is generally not right. Some may but most do not. In fact I wanted to mention Pro's who doesn't take his full gear for times. An EVF is better than no VF at all. We know optical ones have advantage but good implementation of EVF is even better than OVF (just check out the info NX1 provides on EVF; it is fantastic). So a Pro would use DL series for non-pro work. An EVF on DL 18-50 would be much better for street photography. >> So a Pro would use DL series for non-pro work. An EVF on DL 18-50 would be much better for street photography. Again: this is not generally true. I have Sony RX100M4 exactly for non-professional use. It is a camera that like smartphone can be always with you as it is small enough. And I do a lot of street and casual photography with it. And I never use EVF even in bright sunlight. EVF is not much better for street photography. Otherwise I would have used it. In fact articulating screen is what is really better for street photography - not EVF. At least Sony's crappy EVF implementation is not better. May be Nikon will do a better job than Sony. But still... articulating screen will win over EVF for me for street photography. In professional use I strictly prefer optical viewfinder as EVFs are just not yet good enough - they need to have really high refresh rate which they do not yet. My area is event shooting and with moving subjects slow refresh rate is hindersome. Being mainly event shooter in non-occasional part I got away from using flashes as they are too intrusive in events. 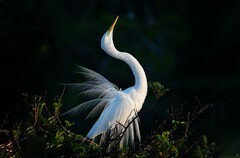 Instead I prefer good low light performing cameras and use of light as it is - there are 'natural' sources around. Then you can fix some ISO noise in post-processing. EVF on RX100M4 is awkward. After it pops up you then also have to pull it out towards you as otherwise it will not give you sharp image. It is too cumbersome for practical on-the-go shooting where you do not want multi-step switch on process that takes many seconds. But then no EVF is not an issue really for such occasional use camera. I would agree DL18-500 sounds extremely interesting and I hope it will not have numerous Sony fallacies. Sony's is a good little camera but that was so in the absence of good competition in pocketable compacts. That was really good. Do you take any videos (for the purpose of recording videos or extracting photos from 4K videos) with the RX100? What do you think of its video and battery life? Short life of BX1 is always an issue but how bad it is? I took some videos. Tried slow motion and find it generally useless. Shot some 4K in different conditions. The problem with such a small camera is it does not have enough weight (and thus inertia) to make it easy to hold it steady and in 4K that is evident and requires extra care. It is generally as good as you can expect from such a small body and smaller than Full Frame sensor that I am more used to. Where it came handy though is in underwater shooting as you can find cheap enough underwater housing for it. Battery life - typical Sony - is incredibly poor. But if it is just an occasional shooter then it is not a big problem. If you know you are going to shoot a lot you would tend to take a better camera with you anyway. By the way... overheating is a serious issue with Sony RX100M4. 3-5 minutes of 4K shooting and you are done - the camera will switch off. It is also a problem with Sony A7R II but you can get way longer with the latter. It helps to unfold the screen and expose the body under the screen for extra cooling. But all of this together seems like Sony just rushed the product to the market without optimizing it and developing low TDP processing for it. That's why I didn't buy the RX100M4 to see further users test it (there was even a user whose cam was draining battery when in sleep mode overnight). Sony seems to release half baked goods to customers and release too frequent upgrades. Now we are 100% sure than RX100M5 will have touchscreen (after Nikon DL). I will wait for DL 18-50 test review. I didn't an information about the number of pictures (RAW) that can be done when you shoot with the highest frequency. The J5 is very limited there. I'm so delighted that you like the step zoom ring for preparing your reviews. It is a travesty. The only good reason for a lens mounted zoom is to get the fine control that a lever on top of the body cannot achieve. Otherwise you may as well have next and previous buttons. I dont understand these cameras. Why didnt Nikon make just those lenses for its 1 series bodys, and release the body as V4 ? Also, why didnt they make a 50-500, instead of 24-500, which would a perfect addon to the 18-50 ? That way you could cover 18-500 without compromise in image quality. With the 24-500 you will not need the 18-50. With a 50-500 you will need it. Those who buy compacts will buy just one that suits their needs better. These are not professional cameras. They are for light travel photography and are good quality point-and-shoots. Nikon has done it exactly right. If you are looking for carrying multiple cameras due to zoom ranges then may be you need to look at interchangeable lens cameras instead. These cameras are perfect for their target audience. They compete with Sony RX100 range but beat it Sony on the face of it based on specs (I expect better battery life, no typical Sony issues with slow interface and lock ups while writing to sd card, fast review and so on) though we are yet to see more detailed test results to judge the sensor and the optics. I agree with p5freak, but understand that in the market it would not be profitable. A range of two or three models with slightly overlapping ranges would be nice to complement each other. The 24-500 could be perfect for a lightweight traveler like me.The zoom covers my needs nicely, the other two zooms do not. How do i get to 18 with the 24-500 ? Of course i need/want the 18-50 with the 50-500, thats the point. Better image quality with both cameras, not the compromise of 24-500. There are plenty of 24-500, 24-1000 etc. cameras out there. If you want one of those, just pick one. With an interchangeable lens camera you get better image quality with a wideangle zoom and a tele zoom, you dont buy a 10 times zoom. I would have liked to see something like a 35 to 200 in a relatively compact format in addition to the 18-50. Your problem and people like you is that you have no idea about lens design. Not that I know a whole lot more. But it's not possible to design an 18-50mm f1.8-2.8 for the 1 system to be as compact as that for a fixed/built-in as in the DL18-50. Go and check out the 6.7-13mm (18-35mm equiv) or the super compact 11-27mm and you will see that both are still longer than the lens on the DL18-50. And neither are nowhere near as fast! 35-200 is a very useful range indeed. The old Canon Powershot AS650IS has a 35-210 equivalent zoom. I found this range was very usable all round. First of all it is very rare that you need 18mm and cannot just take a step back or cannot take a panorama for a greater coverage and more detail. Second, why are you looking at this camera at all if what you need is an interchangeable lens camera. 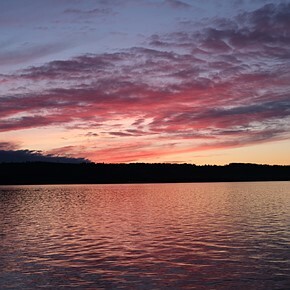 @Studor13: I get that, but a somewhat larger lens with the same specs for the Nikon 1 would still be nice. If you can make it collapsible like the fixed zoom it probably will not be that much larger (see 12-32 Panasonic or 14-42 Olympus kit lenses). The cameras are the same, look the same, feel the same well, so are the owners. They shoot the same things and pictures also look the same. And everybody thinks that that new camera will make me a real photographer at last. It won`t. Did Your pictures change when You last time moved to another body? Yes, my pictures changed when I last moved to another body. Cameras give you different capabilities, change how you do things or do not do things. They will not change your framing preferences or anything alike but they definitely change the technical side of photography and what you can do. One simple example when going to the ocean I never before bothered with underwater photography. My focus was always with larger cameras and mainly event shooting. But once I got a small Sony RX100 IV I also got a cheap underwater housing for my next trip to the ocean. Larger bodies require a much larger and way more expansive set up for me to bother. So before getting Sony RX100 IV I would mainly shoot above water - such as whales and dolphins when they surface. So it is silly downright to say that pictures do not change when you move to another body. Not sure of your point, other than a good observation about tech for its own sake. But good pix mostly result from what's between your ears, rather than the device. For example, eighty-odd percent of my commercial pix are shot on iPhone. But I have a bunch of bigger beasts for the remainder, which depend on specialist kit. 1) Tech is not for its own sake. Tech is for a purpose. 2) You are wrong or too conceited if you believe is all only about the photographer. It is a duo of photographer and camera. Good photographer will make better photos on better suited camera. Bad photographer may not. 3) I personally would never pay for iPhone material for an event I cannot shoot myself as I tend to know of my events upfront and can have better. It is just below my standards of good but I appreciate that many have lower standards than me and sometimes there is nothing better - especially in breaking news, etc. But that is not my area. In fact on the topic of compacts I have Sony RX100 IV in my pocket for unexpected. Way better than iPhone. The 18-50 will bring ultra wide into my pocket. Cartier Bresson to Minor White and hundreds of others used a simple mechanical cam. The best and most memorable pictures are taken at 1880-1960 with analog /mechanical cams. But photographers could think and read those times, they had empathy and knowledge, so different than nowadays. What strikes me most is that when someone writes a critical message there are these " Didn't take your meds? That shows what kinda people photographers really are...and that they really think that camera means 99% of the visual quality of pictures. Well it does not. Photojournalists ( pros) never talk about cameras, they speak of pictures. Writers never speak about laptops and Word. I know very well that this site is about cameras...not about pictures. So itś sometimes fun to make a remark about what those lightight boxes are used in real life by old pros. Now I ´ve taken my meds "tonkotsu ramen"...and used my real name when telling that. It does not change the fact that good photographers will make better pictures with better suited cameras and optics. 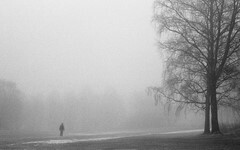 Sometimes better suited is what you have on you but in many cases photographer has more control over what is on you. It is always possible to find cases when someone used crap equipment and got memorable results for one reason or another. That in itself is not a reason nor an excuse to use crap equipment as a matter of course. Brilliant photographers may often start with crappy equipment as cannot afford anything better or do not yet know the value of technology when they start shooting but tend to learn and move to the better equipment with a good understanding of why they do that and what it will give them and how they will use it. It is also pointless to look to the past as a benchmark of how it should be. The world is moving forward whether you like it or not, whether you accept it or not. >> Photojournalists ( pros) never talk about cameras, they speak of pictures. Oh! And how dead wrong you are in your delusions! They do speak of cameras! I had friends in that area. They talk a lot about their cameras WITH THE RIGHT AUDIENCE and they love and cherish their equipment and can talk for hours about its pros and cons, and how-tos. They spend lots of time studying new equipment. They know it very well. You seem to be completely buried in the myth that equipment does not matter and that professionals do not care about it. They do and they grow attached to it like kids. Otherwise you would not see so many different cameras for different jobs and you would not see professionals using professional cameras that best fit their jobs. Your total misapprehension seems to be confused by exceptions and ignores the rule. But as I said this is a camera forum and photographers are somewhere else. I guess you just cannot grasp that the world is more complex and is not as one sided as it seems to you. It works both ways. Cameras are just boxes without photographers - you are right there. But photographers are just people without cameras. It works both ways. It is not as one sided as you seem to be totally misguided in your mind. There are two sides to the coin. Not one. 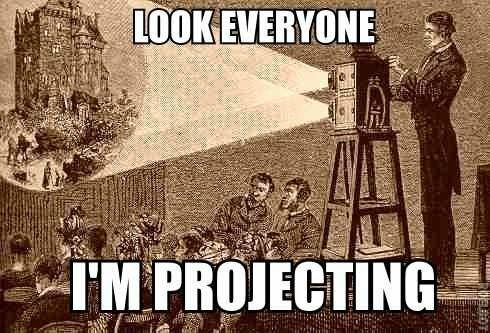 You take ANY one side away and you have no subject to discuss and nothing produced. What is more 'creativity' is just a fancy word for technique. It means the same but sounds fancier. And there is a technique to everything including to inventing new techniques. Some people do not initially understand how they do things and try to mystify it but they still have a technique and it is just that they did not take time to understand it. Photographers are not somewhere else. You have plenty of professionals on this forum but you seem to be misguided thinking professionals do not like discussing cameras. Why are you even commenting? Do you really think your platitudes are new or inspiring? Frankly these look to be better than Sony RX100 series. At last we see phase detection making it into compacts in this cameras. They also have a much more powerful processor and knowing Nikon they are unlikely to have slow UI and lock up while writing. 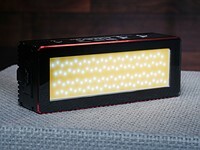 I also expect a better battery life and no issues with EVF black outs. I only regret Nikon did not release them earlier as I already have pocketable Sony RX100 series camera. Well you may be righ but I will say that the Coolpix A has pretty much all those issues you mention, that was a 1000 dollar compact. Don't forget the touch screen and hot shoe! as for "knowing Nikon they are unlikely to have [insert flaw]". I still remember the Coolpix 4xxx (the one with the twisting body) with a 10x zoom which did not have image stabilisation at a time when it was available in competitors' products. Does the flash bounce to the ceiling? Do they (18-50 and 24-85) even have built-in flash? Didn't see it anywhere. OK, so I checked and IIUC, the only camera not to include a built in flash is the 18-50, and the 24-85's flash does seem to be bouncable. 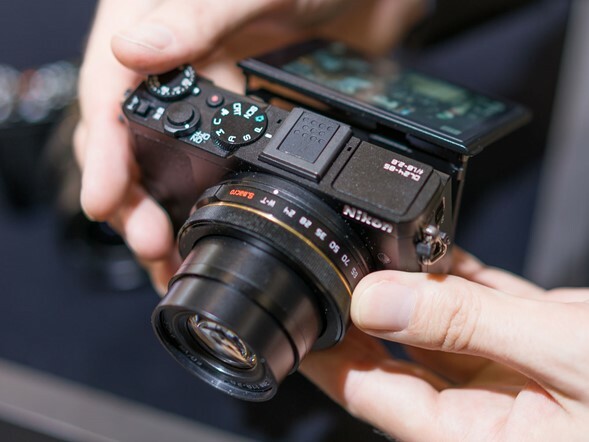 Must be demoralizing for Nikon engineers to work hard on releasing something like this, and then get completely owned by a refresh of Sony RX100 a month or two later. I don't think it's about "owning". 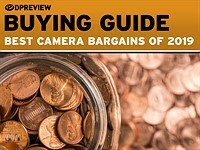 Pretty sure that the average customer will prefer a comparable Nikon to a Sony camera. 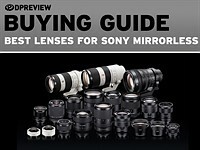 These will hopefully be good times for us customers, because I don't think Sony is that delusional that they would think they could sell their cameras for more money than Nikon can if they offer the same stuff. 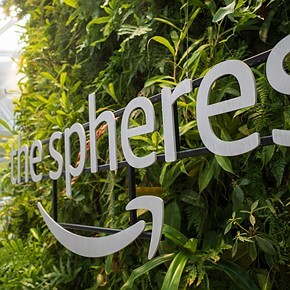 Let the price war begin. Frankly... Sony seems to be behind these cameras and needs to step up the game on many long running Sony issues. Also knowing Sony I am not convinced Sony will address what these cameras do. For example, Sony has poor UI and very slow UI and lock ups on writing to sd card. That is a problem with all Sony cameras for many years including the very expensive ones like A7R II. Sony never bothered to fix that so far and has a poor processor. Poor battery life is another consistent Sony treat. In general I see this new compact market coming to mainstream maturity now with Nikon coming out. No new features will make a big difference worth switching. It is a time of incremental refinement for the next few camera generations. Own an 18-50, they will? Actually, if present in the same market segment, I think more photographers would be attracted to the Nikon brand (and to Canon) than to Sony. Sony hasn't been very successful in direct competition to Canon and Nikon in the DSLR field, after all. And I wouldn't be surprised if Canon's 1" compacts are selling more than Sony's RX series, despite the lack of some features that Sony offers. 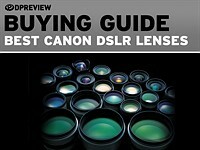 Mirrorless ILCs is different, admittedly, but in that market one almost gets the impression that Canon and Nikon have gone out of their way to not be competitive. Man are we spoiled nowadays, when I think back to my Dimage A2 (which I really loved, until I dropped it on a stone floor). And still I am griping. It is an old "hurt", but since my A2 I wished that every camera was weather sealed, since I am an outside and sometimes wet'n'dirty shooter. Now you might add that nothing has failed me so far due to rain and dirt, except mechanical issues. But that is because I decided not to shoot when the conditions were bad even when I would have liked to (dirty hands, sand blowing, rain / snow falling). Especially with compacts and their collapsing lenses I would hate to get sand stuck in the mechanism. I do not know if standard ws would be a solution to that. I would even accept a non-collapsible internal zoom lens, which would allow a hermetically sealed camera (then also usable for UW). But I guess nobody else but me would want a thing with a sticking-out protrusion. Any words about the macro capability of the 24-500 yet? 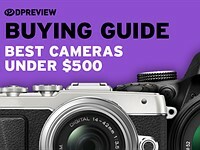 great prices from Nikon compared to Sony and canon ! how good of the slow-motion videos in these cameras ? are they same good as sony RX series or just a bad cropped video same as Nikon 1 series ? You're talking about quantity of pixels in the video files, not image quality. We just don't know yet if Nikon does full sensor readout like Sony, or some line skipping or crop crap. I expected a space saving EVF to be integrated, to consider it an alternative to Sony's RX100IV. Without that, even if lenses and sensor turned out to be superior, I think I'll be forced to ignore these. I just don't like a detachable viewfinder very much; extra cost, chance to loose, blocking your hot shoe, making it harder to pocket if left on. If I didn't care about it fitting into my coat pocket with ease, I'd be looking at some full frame mirroless camera instead. Sorry but I totally completely and utterly disagree. Unless of course you were being sarcastic. 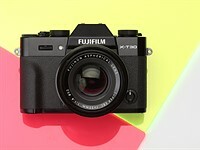 Photography are made, so do focal length.....and this is new for compact camera. To me the most important question is how long it takes to switch on the camera and bring the lens into position. If this is quick then this is the big advantage over a zoom +/- switch for a street shooter. - and it will cost a lot more. The 24-85 and 18-50 are cosmetically and ergonomically almost identical. When it comes to operation, comments about one are equally applicable to both. Yeah, even with a decent 20Mp at 85mm you won`t get anywhere near 200mm of the P7700 (which had the best 1:1.7" sensor ever made in) - I have the P330 with the same sensor but an insanely sharp 21mm effective wide end (24mm in the specs, 21mm is gained in RAW using your own correction or uncorrected) . I`m thinking the DL 24-85 would replace this but it looks a lot bulkier than the uber-thin P330 so may as well take the GM5 which has an onboard EVF and kinda does all three DLs depending on the lens fitted . I hope the top dials have indents. The V2 drives me nuts with the command dial changing shutter speeds by a factor of 10 because it rubs against something. The small sensor is hideous with that much under exposure. Exciting development in Nikon's 1 series lineup. I wonder if there will be a waterproof DL? An AWDL18-50 would get my money. But at least somebody do an affordable housing as soon as possible à la Canon or Olympus. Thanks! Nikon do seem to struggle with the concept that people want EVFs in premium compacts. They can't even show any pictures of the optional EVF! Has anyone seen one? Agreed, I think its to easy to get through the meeting where production and development cost of adding a viewfinder are discussed and finding it doesnt have one any more. Theyll pull an Olympus and will finally put in a built in EVF... by 2020. But not everyone wants to pay extra for a tiny EVF they'll never use, me included. Yes, I personally want EVFs in premium compacts. I just find it annoying how so many cameras nowadays have an EV dial rather than letting us choose what we want it to do with them. I'm grateful the RX100 and A6000 didn't do that but even the A7 series does as well. I think that dial can't be dedicated other wise how would you adjust A and S in Manuel mode? I really wish that after three articles they would have clarified the controls a little bit. None of those cameras worth $400, let's face it. The DL24-85 is a little bit to thick for my trousers - obviously not pocketable. 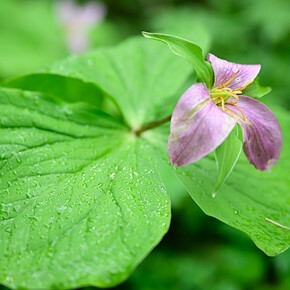 A great disadvantage to the Sony RX100. Eh, it would make an interesting pickup line. "No, that's not a Nikon DL 24-500 in my pocket." Personally, my smartphone is as big a camera I want in my pockets, I don't wear baggies, the Nikon appears more user friendly with external controls, and will have better AF. All of these compacts appear to be bordering on too small for my tastes. But looking at the initial response and the link I posted comparing size, the Nikon will be more than competitive. Very easy - step away from the computer, go out, and take some pictures with whatever you have! Gear junkie syndrome.....I knew a person who ended up buying and selling so much gear that he could have opened up his very own camera store! Whenever a new piece of equipment came out, he had to have it.....when we went out on assignments his bag use to weigh a ton, he just couldn't decide on what system he wanted to use for the shoot, he'd pack up to 3 or 4 systems, each with multiple lenses.... Sad thing was he'd only use 20 to 30 percent of what he packed, the rest was just dead weight.... all that fuss for nothing really! Not to mention changing setting for day and night and charging all those cameras. Taking some test photos... And checking dpr for new cameras. Maybe you should look back at the images from when you had just ONE camera, I did. I sold off most of my stuff and now just have a Fuji X100 and Nikon J4 with 2 lenses. Best decision I ever made. It's liberating to just have the two cameras. Lots of cameras and equipment is the opposite of freedom. 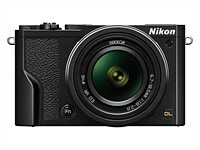 Interesting how this is marketed....1" sensor, no evf, with a high price....Nikon went down this road with the Coolpix A, a moderate fail... even though the A had a APSC sensor. The Coolpix A also had a fixed 28mm lens in a market where many prefer a zoom, and it was competition to Ricoh, who had an established history and market with a 28mm compact. "it was competition to Rico"
No, it was not. Coolpix A was released first. Ricoh GR a few months later, with cheaper price, killing Coolpix A. This seems far more strategic; they are offering 3 distinct options which will appeal to different stylers of photographer. I think one of the big problems with the Coolpix A was that it only suited people who wanted the 28mm (equiv) focal length. If they had offered variants with 21mm, 28mm, 35mm and 50mm lenses the Coolpix A would have been way more successful. The Coolpix A is a very good camera if you understand what it's best for. Of course I got mine for $400, not $1200. I like the DL18-50, even though I'd prefer a larger sensor, but I'd wait for a trailing-edge ticket. Ricoh GR Digital didn't have the APS-C sensor the Coolpix A and Ricoh GR have, so it makes sense to compare to the 2013 Ricoh GR. Ricoh already had a well-established niche market for their 28mm compact cameras, dating back to the GR1v film cameras of the 90's and early 2000's, and the GR Digital cameras of the mid 2000's. With the small sensor GRD IV reaching the end of its life cycle, and the Ricoh GXR aps-c sensor modules in production, the creation of the aps-c GR was inevitable. Nikon may have had the A in development, but the GR was a forgone conclusion before the A was even conceived. Nikon's only precedent to the A was the film 28Ti from 1994; they had not produced any other luxury 28mm compact since then. The market that Nikon was attempting to enter was already emotionally bound to Ricoh. The lower price of the GR was the blade between the ribs. 1) “Focal length can be set in steps or adjusted fluidly across the zoom range with the lens’ precision zoom ring” – says on Nikon USA site. Maybe the “clicking” can be turned off for the ring? Is it motor driven? Can I quickly jump from end-to-end with it (because I heard with the zooming knob it takes around 10 secs)? 3) Is the bluetooth connection enough to transfer photos to my iphone or is wifi needs to be involved for that? 4) how fast is it to turn on? 5) how deep is the buffer when shooting raw+jpeg? 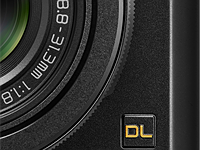 Buy the LX100. A better package. An average DPReview reader does not exist! The DL18-50 will cost $649 and the wider DL18-50 will set you back $849. Now, to the coffee stand. A little confused, on the two smaller models when set to A priority or S priority. How does one go about changing the aperture or the shutter speed? I guess with the dial around the 4-way controller, but then how would you use M mode? I hope the ring around the lens will be responsible for more than just manual focus. 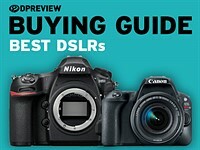 "Nikon has applied the know-how and technology of its legendary DSLR cameras to the DL series. The DL18-50 f/1.8-2.8's GUI and menus are very similar to Nikon DSLRs, as are the command dial with PSAM control, rotary multi-selector, power switch, customizable Fn (function) button and RAW (NEF) capabilities. Focal length can be set in steps or adjusted fluidly across the zoom range with the lens' precision zoom ring, while the control ring allows precise adjustments of aperture, shutter speed, manual focus or even white balance. As an aside, Image 11 shows us the 24-500 is a strikingly ugly camera. The other two are quite nice though. 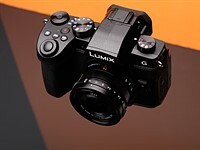 More than once, DL 24-500 was compared to Panasonic Lumix DMC-FZ100. I believe it should be FZ1000. Thanks for the catch - should now be corrected. I'm a little confused why are their so many articles on the DLs with no real additional information. Just a few extra pictures? Is it to keep the interest up? or keep the comments to a more readable level? Wouldn't it of been easier just to add the photos to a previous article? Same story with the Olympus PEN... too many articles saying nothing new. Mission accomplished: You viewed more, ad revenue increased. Its for webbsite reasons, also called SEO. 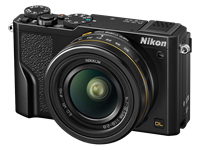 The new Nikon DLs look like really nice cameras. As an added bonus, if you don't buy the optional EVF, the Nikon DL24-85 is significantly less expensive than the Sony RX100 IV.